Ben and the craftsman at Ben Wheeler Pianos meticulously restored and delivered a Grotrian-Steinweg for me. 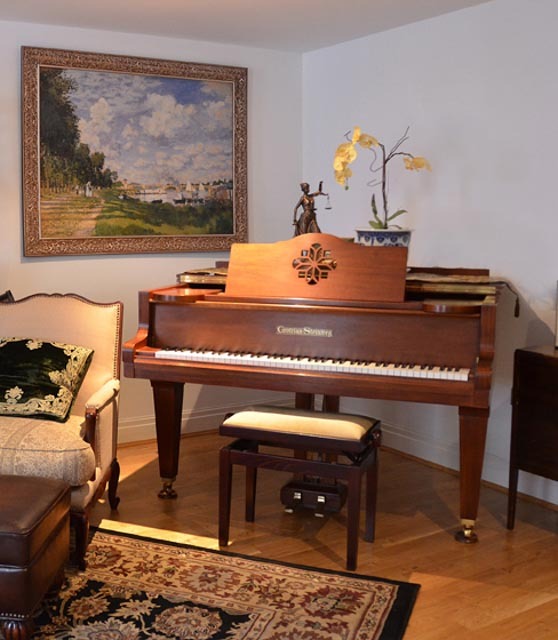 This piano was known to him for many years’ prior; and when I contacted Ben about the desired elements, qualities and characteristics of the piano I was looking for, he must have known this one would be the ideal choice. Ben Wheeler’s approach to supplying my piano was not to make a sale and then move on. He custom selected a perfect instrument suitable for my location, budget and, particularly, for those whom will be enjoying it for many years to come. Ben’s attention to detail, professionalism, and acute sense of my requirements made the sales experience enjoyable. Ben’s skill as a life-long musician, clinician, and tuner made the after-sales support very valuable when he ensured that the piano was tuned and situated in exactly the right position. If your experience with Ben Wheeler Pianos goes anything like mine did, you will want to change absolutely nothing about it.